It’s mid-September 1999. I’m sharing the dark-chocolate oak boardroom table with 8 Executives who’ve flown in from all over Australia and New Zealand to attend our monthly Executive Leadership meeting. We spend the first 20 minutes discussing the threat of the Millennium bug, otherwise known as Y2K. Believe it or not, once-upon-a-time software was programmed so that users only needed to enter the final two digits to represent the four-digit year. Like many businesses we were anxious about the threat of a systems crash as the clock struck midnight to welcome the first day of the year 2000. I wait for vigorous nods of agreement and to hear “Yes let’s do it Kristyn”, from our CEO before I proceed. I’m shocked when all I get back is; “How much is it going to cost?” “Why do we need this again?” “We’re too busy with our growth strategy to focus on that right now.” I say nothing. I just don’t know how to respond to these seemingly minor objections given all the obvious commercial benefits of having well trained leaders (obvious to me, anyway). The look on my face is that of a sullen child who just dropped her caramel ice cream. I dejectedly stare at the thick pile of papers in front of me that contain the short-list of leadership training providers and programs. There’s simply not enough interest to continue. My words trail off……. Over the past 15 years I have learned to clearly articulate the benefits of investing in developing leaders and now realise that there was nothing wrong with them. My pitch just didn’t resonate with their pain points and strategic agenda. There is no shortage of meaningful data to persuade the C-Suite to support both culture transformation and leadership development initiatives. Knowing what I know now, with the information that I have now, here is how I would handle that pitch if I were to give it today. To counter the threat of disruptive competitors taking market share, organisations like ours are striving to become more agile and customer-focused. To achieve this there is a trend towards designing organisations with ‘self-managed or network teams’. These teams are empowered to work on specific business projects and challenges, improving the quality of the product and reducing the time our products go to market. These self-managed or network teams are more collaborative and better able to work cross-functionally. This is a big shift away from our current traditional, functional and hierarchical structure. According to Deloitte’s 2016 Global Human Capital Trends report, more than nine out of ten executives surveyed (92 percent) rate organisational design as a top priority. Designing new organisational structures is actually the easiest thing to do. The most challenging part is helping leaders to adapt their mindset and skills. We need to take our traditional, top-down hierarchical leaders who are used to making all the decisions and teaching them how to share power, collaborate with others, facilitate and coach so that they are fully utilising the talent of their workforce. Bottom line is that if we are to prepare ourselves for disruptive competitors by creating a more agile, customer centric culture where we can be more innovative, responsive and valued by our customer base, then we must invest in the development of our leaders. So let’s focus on building strong, leadership capability with the 21st Century leadership skills that include building emotional intelligence, coaching skills to tap into the potential of our workforce and teaching our leaders how to facilitate great decision-making, rather than control it. The odds are that if we don’t transition our culture and build 21st leadership capability we will not be one of those companies who thrives in this new era of disruption. Now, the C-Suite is listening. Let’s get into the detail…….. 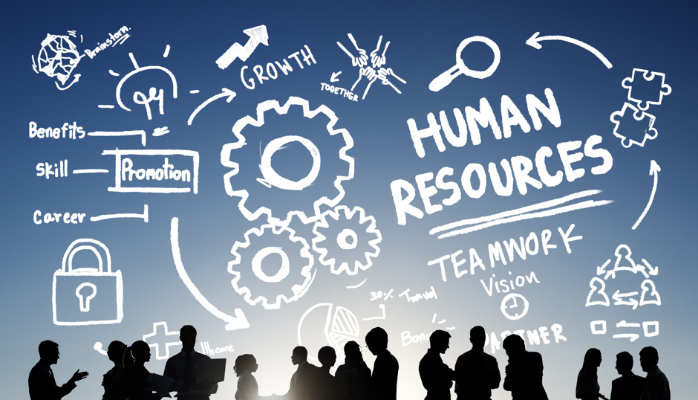 Yes, it’s a great time to be in HR.